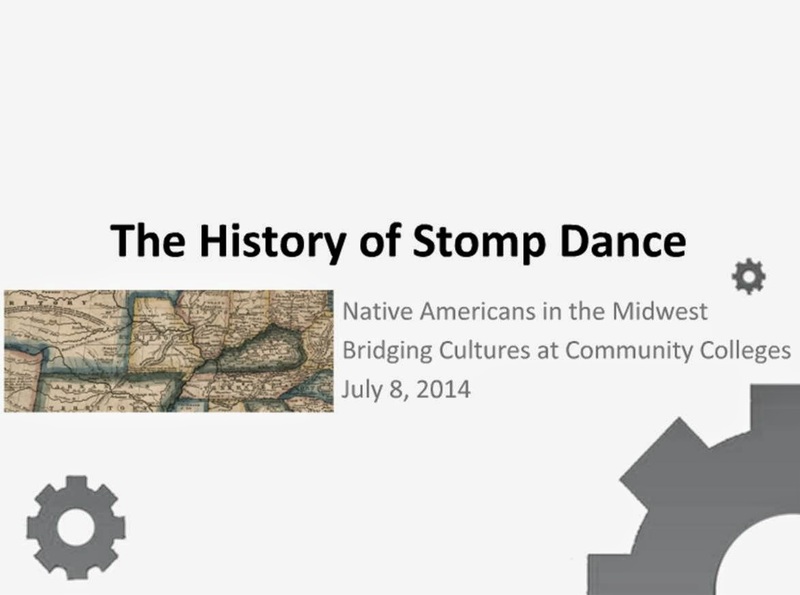 Chief Glenna J. Wallace and Brett Barnes of the Eastern Shawnee Tribe of Oklahoma presented a webinar on "the tradition of Stomp and Social Dances in Eastern Woodlands Tribes and the role they play in communities today." for Ohio's historic Native American tribes. This project "will strengthen the content of Native Studies’ community college curricula and tell a more complete story of forced removal and its impact on Native American tribes. Through a partnership between NEO A&M in Miami, Oklahoma, and OHS in Columbus, Ohio, BCCC-NAM will provide professional development for community college faculty by compiling historical resources for Midwestern Native American history, exposing community college faculty to scholars and Native American experts, and bringing them to locations that are critical to the Midwestern Removal story." at the Newark Earthworks in August 2012. Video is Courtesy of The Newark Earthworks Center.